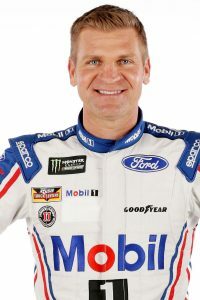 Clint Bowyer, a native of Emporia, Kansas, got his big break in 2004 when he got to share driving duties in the No. 21 Reese’s Chevrolet for Richard Childress Racing with former NASCAR Xfinity Series champion Kevin Harvick. During that span, which lasted 17 races, he amassed a four top-fives, seven top-10s and one pole position. Those results led to a full time Xfinity Series ride in 2005. Once again, Bowyer impressed his bosses, finishing second in the championship on the back of two victories, 12 top-fives and 22 top-10s. The results not only earned him another full year of Xfinity Series competition in 2006, but also the full time role in the No. 07 Jack Daniel’s Chevrolet in the NASCAR Cup Series. Under the tutelage of crew chief Gil Martin, Bowyer continued impressing in 2006 and finished the season 17th in the Cup standings. 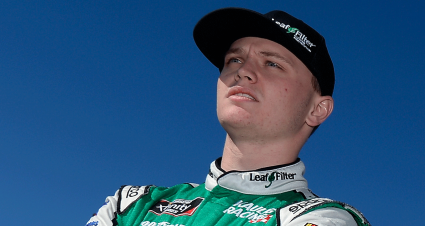 In the Xfinity Series, he finished the year in third place. The 2007 season was Bowyer’s best Cup season to date, as the Kansas native finished third in the championship standings (346 points behind winner Jimmie Johnson). During the season, Bowyer earned his first career Cup victory, winning the first race of the Chase in New Hampshire in dominating fashion. Bowyer led 222 laps from the pole position to win the race. The season also saw him net five top-fives and 17 top-10s. Bowyer also captured his first career pole position for the spring Darlington event. Bowyer finished 12th in the point standings in the Xfinity Series, racing 22 of the 35 races that year. The 2008 NASCAR season will be one the former dirt track driver won’t soon forget. 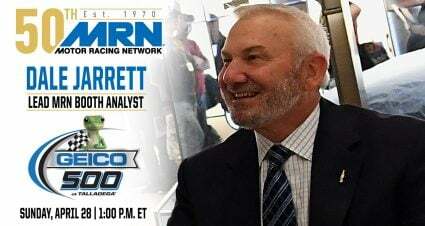 He captured his first Xfinity Series title and finished in the top five in the Cup Series after finding his way to victory lane for the second time in his career. 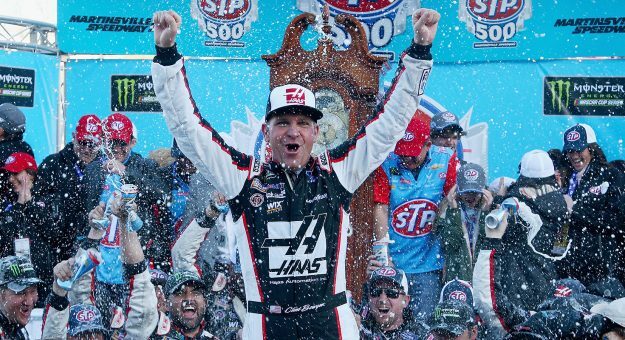 Bowyer’s second career Cup win came in May’s visit to Richmond International Raceway and was one of seven top-five finishes for the Richard Childress Racing driver. He ended the year at Homestead-Miami Speedway by capturing the Xfinity title and finishing fifth in the season-ending Ford 400. Bowyer moved from the No. 07 Jack Daniels Chevrolet to the Richard Childress Racing’s new No. 33 entry in the 2009 Cup season. 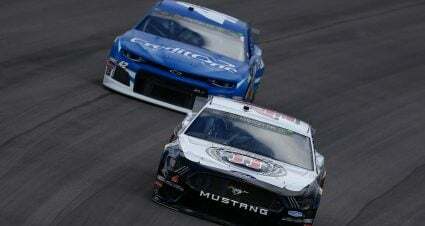 He entered the year with no owner’s points but was able to come out strong in the beginning, scoring four top-10 finishes in the first seven races. Trouble from that point into the summer kept Bowyer in check in the points, and he was unable to mount much of a challenge for the Chase. Bowyer scored his 22nd top-15 finish of the season at the finale in Homestead-Miami Speedway. He finished 15th in the point standings with four top-five and 16 top-10 finishes. In 2010, Bowyer was able to finish 10th in the final NASCAR Cup Series standings despite being handed a 150-point penalty to kick off the Chase. Bowyer posted two wins and 18 top 10s and returned to the Chase for the third time in the last four seasons. Bowyer appeared to start the Chase with momentum with a win at New Hampshire Motor Speedway, but the No. 33 team was slapped with the big penalty following rules infractions discovered during post-race inspection at the NASCAR Research and Development Center. Along with the penalty, Bowyer also lost his crew chief Shane Wilson for four races during the playoffs and then his pit crew, who switched over to the title contending RCR No. 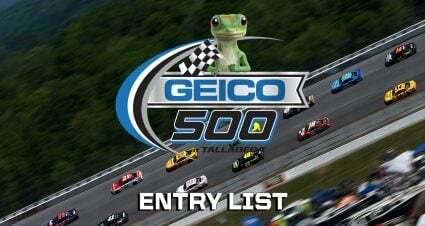 29 team heading into the Martinsville race. In Wilson’s absence, interim crew chief Scott Miller helped guide Bowyer to a second-place run at Auto Club Speedway and a win at Talladega Superspeedway. Wilson returned at Texas and Bowyer finished seventh to put him in the top 10 in points for the first time since Phoenix in April when he was sixth. But a 21st-place finish at Phoenix dropped Bowyer back out of the top 10 heading into the season finale at Homestead-Miami Speedway. Trailing Kurt Busch by only five points for the 10th spot, Bowyer finished 12th at Homestead to earn the 10th spot in the standings. In 2011, Bowyer missed qualifying for the playoffs by four positions – finishing 14th in the regular-season standings. He ended the year as the highest-placed non-Chase driver, edging Kasey Kahne by just six points in their battle for 13th place. Bowyer’s best finish in 36 starts was a victory in the fall race at Talladega Superspeedway. For 2012, a late-season surge lifted Bowyer to second place in the final Chase standings – 39 points behind Brad Keselowski. Bowyer had an average finish of ninth place in the 10-race title series, including a victory Oct. 13 at Charlotte Motor Speedway. Bowyer’s final stats line showed three wins and 20 other top-10 finishes in 36 races. He celebrated his 250th career Cup Series start with a fifth-place finish Oct. 28 at Martinsville Speedway. In 2013, Bowyer drove thousands of miles in dozens of races, and chased championship points from Daytona in February to Homestead in November. But his season will be remembered most for one lap … in one race … on one night, in early September at Richmond International Raceway. With less than 10 laps remaining in the regular season, Bowyer spun in Turn 4 and slid into the frontstretch, producing a caution that proved to be pivotal for a number of drivers. 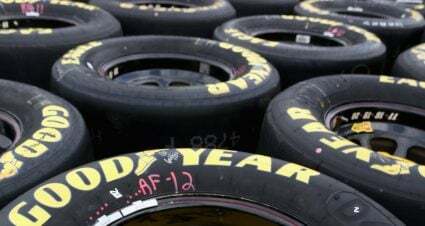 In the days that followed, after reviewing related events in the closing laps of the Federated Auto Parts 400, NASCAR penalized Michael Waltrip Racing for manipulating the outcome of the race in an effort to assist Martin Truex Jr. in securing a post-season berth. It led to penalties, fines and an unprecedented shuffling of the playoffs that resulted in Truex being dismissed from the lineup. 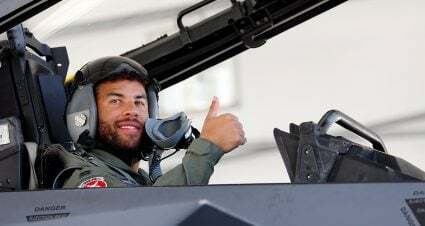 Bowyer entered the post-season as the No. 9 seed and finished the year seventh in points. He went winless with a best showing of second place twice – on Virginia short tracks at Martinsville and Richmond. In 2014, Bowyer’s winless streak stretched to 77 races and has since nearly doubled to 149 entering the 2017 season. 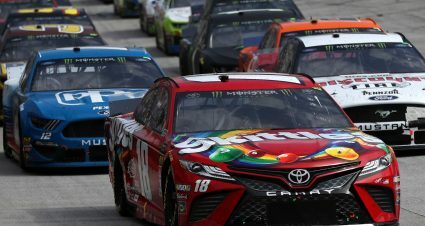 He mustered only five top-five finishes during the 2014 campaign with a best showing of third place three times – including both races at Talladega Superspeedway. Bowyer finished 19th in the final standings, missing a post-season berth by seven points. 2015 was his final season at Michael Waltrip Racing and though he qualified for the playoffs, Bowyer finished last among the 16 title contenders. He announced he would be moving to Stewart-Haas Racing in 2017 to replace the retiring Tony Stewart. That made 2016 a bridge year for Bowyer. 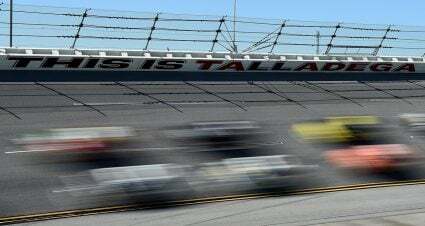 He drove for HScott Motorsports and posted a best finish of seventh in the spring race at Talladega Superspeedway, missing a post-seasons berth by more than 200 points. Bowyer went winless in his 2017 debut season with SHR, posting a best finish of second on three different occasions and missing a playoff berth by 88 points. The 2018 Cup Series season saw Bowyer snap a 190-race winless streak dating back the 2012 season after winning two races. Bowyer, who completed his second full-time season with Stewart-Haas Racing in the No. 14 Ford finished the season with 16 top 10s, nine top fives, including his two wins, and ranked 12th in the final standings. Prior to moving up the NASCAR ladder, Bowyer won the 2002 NASCAR Weekly Racing Series Midwest Region championship with 10 victories and 18 top-five finishes in 19 starts in the NWRS Modified division at Lakeside Speedway in Kansas City, Kan. He also competed in 2003 in the NASCAR Weekly Racing Series Late Model and the NASCAR International Truck and Engine Corporation Midwest Series (formerly the RE/MAX Challenge Series). Bowyer rounded out his 2003 season by competing in two ARCA events in 2003, finishing second in his series debut at Nashville Superspeedway in August.